You can make C4 Architecture Software System Models with draw.io. 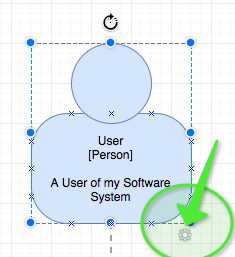 This is a C4 Modelling plugin for draw.io, which provides C4 Notation Elements in draw.io. Reload the page! to see the C4 Notation Shapes in the shape panel (figure 1). 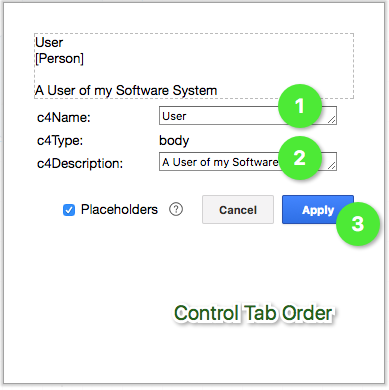 Input Cursor / Focus is on the first field of the dialog, and with tab you can jump through the fields and submit (figure 5). To open for a C4 Relationship shape the Properties Editor: — key-stroke or over menu. Has also a little technical issue, to open the properties dialog, — gear icon or over menu. can be hany when you want to (re-)format the text, e.g. bold, italic, font size or when you want to insert a line break within the text/properties. if you change the text here directly, and as next open the properties dialog of this shape, your changes will get lost because the informations on the shape will be reseted to the values from the properties dialog. Sorry for these issues, I keep fixing these in my spare time, feel free to create an issue, or provide an pull request, hints and ideas what We could improve! 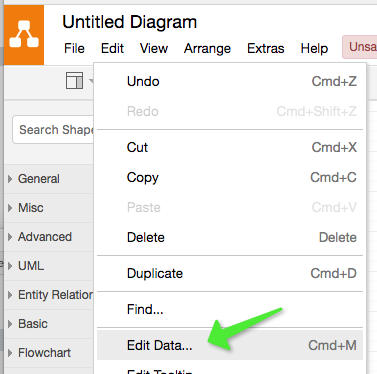 Open’s the Data-Editor Dialog (properties dialog) of an selected shape on the diagramm. Draw.io Plugin: AWS Step Functions Workflow Designer, which has inspired me to done this plugin, and what I use as code-base to done the plugin. C4Model Auhtor: Simon Brown, thanks for let me know that this us useful and thanks for sharing your knowledge about software architecture. draw.io, to provide draw.io as open source software system.